The dust of an old civilisation is a source of endless stories. Some real, most imagined. It all depends on what they leave behind for you to find. HG Wells opened up this Pandora’s Box in his classic Time Machine. He builds a beautiful late Victorian vehicle tailor-made for the fourth dimension, and like all the other wonders of that age, it works and changes his life utterly and irrevocably. He travels thousands of years into the future to discover that life has altered rather horrifyingly, with half of us being farmed as meat for the other half. The machine’s inventor flees the predators, stumbling by chance on a museum from the distant past – perhaps South Kensington itself. Hollywood got hold of the book, and in 1960 made a film which elaborated on the Museum idea. What if the lost civilisations had left discs behind which were records of the voices of the lost civilisation? Might the Inventor be able to find out how the human race came to this terrifying state of affairs? We want to hear their voices, the lost civilisations. We swoon over the Greek and the Roman and the Egyptian. We have made an icon of Biblical writings. One sunny day in 1923, on the Ras Shamra headland in Syria, this peasant farmer was ploughing a field when he opened up a dark cavern, there in the earth. And when he investigated, it appeared to be some kind of tomb. The oxen were led away and the archaeologists called in. And they discovered not one tomb, but a whole great necropolis, worthy of a great civilisation. And so naturally, the archaeologists began looking round for the city and there it sat on the coast, a lost Mediterranean port. The magnificent city of Ugarit is, I believe, a great mound some 65 feet high, and inside the archaeologists who worked tirelessly, stopping only when forced to by World War II – found a splendid palace of 90 rooms,grouped around eight courtyards. There were many other sumptuous city houses besides. And crowning the hill were two temples: one to Baal, son if El the king of all deities; and one to Dagon, the god of fertility and wheat. And its date is enough to make men swoon. The rooms of the palace hummed with life and industry and politics some 2,000 years before Christ. It stands to reason that such a place would have had a library. Not one, but four: a palace library, a temple library and two private libraries, all carefully inscribed on clay tablets in cuneiform. And suddenly this became not just a splendid city but learned place which chronicled its rise and fall. The tablets dated from around 1200BC. The body of tablets use between them seven scripts, four languages. The tablets dealt with diplomatic, legal, economic, administrative, scholastic, literary and religious matters. Later, in the seventies, more libraries were found at the great city. It is a lost civilisation which could be found once again by its words. Its people possibly laid their first foundations in 6000BC, and lived their greatest moments from 1800 to 1180BC. They left words to show how they fell, of course. The last King of Ugarit sent a letter to the King of the Hittites, asking for help. Help never came. That great civilisation was entirely subsumed. But they left their words. I shall leave you with these, from the Epic of Baal, written around 1350BC. Of the seas to the stars. And the earth’s masses cannot understand. Posted in Quirks of HistoryTagged ancient civilisations, archaeology, bronze age, prehistory, UgaritBookmark the permalink. Remarkable – so remarkable that it has my mind spinning this early on a Monday morning. I leave you with these words – “Another cup of coffee, please”. Fascinating, Kate. Hope all is well with you and yours. Even if we were to leave such poetic traces – would they be left in a form that will be legible twenty or a hundred years from now, let alone a thousand? Good question. In the 1960 Time Machine they leave audio discs; if they are rolled they begin to tell their story. And in the modern film it’s holograms, telling of the fall of the great civilisation. Eerie. Great story and should continuously remind us of the transient nature of life in general and the inevitability of the fall of civilizations. All the more reason to live life doing good and following the Golden Rule. Indeed, Lou. Seize the day. Kate, seems you omitted where the place is but I looked it up. Seacoast of Syria. Wait a minute. I will check if Syria has seacoast and I wasn’t looking at California or something. Clay tablets ?. They coulda stored in dropbox or ubuntu1. Words don’t fade or age, like stone. How beautiful the words from Baal are even after centuries. They are almost timeless, aren’t they, Banno? I would love to see this place, for sure, Madhu…. I know. I just loved this, Nancy. It spoke with clear, certain strength. By the way, the tomb that begins this posting reminds me so much of the “bee hive” tombs outside the ruins of Mycenae. Kate, I’ve been away from blogging for about ten days and your blog is one that I truly miss because you teach me so much. Your curiosity about life is a wonderment to me. Peace. Kind words, Dee! Hope all is ok with you. Life is full of curiosities, isn’t it: and beautiful ideas, and ugly ones. I want to fill every inch of my life with the stuff this earth is made of: not the material, but the spirit of man. Wonderful, Kate. I once read a book called The Weans, about an ancient civilization that had some sort of trouble with the Ussers and all of the ruins that were found. It was in the sixties. The Weans were US and the Ussers were USSR and it was an interesting time travel sort of yarn. I’ve often thought that our electronic gizmos will be of no use to future time travelers. If they do discover how to operate them, what will we have left them? “50 Shades of Grey?” or the classics? Then, I read Ray Bradbury (I believe it was.) He described how even our books will not survive. If so, will our civilization suffer the same fate as many before us? Will our knowledge gained be lost because no one can decipher it? I hope not. Good post, Kate. I love the poem. These words really set my mind to wondering and wanting more. It’s almost haunting to hear their voices. Very powerful, Kate. I always wonder what these people would say if they got another chance to whisper down through time. Mind-boggling to go back that far – particularly on that call for help never answered. 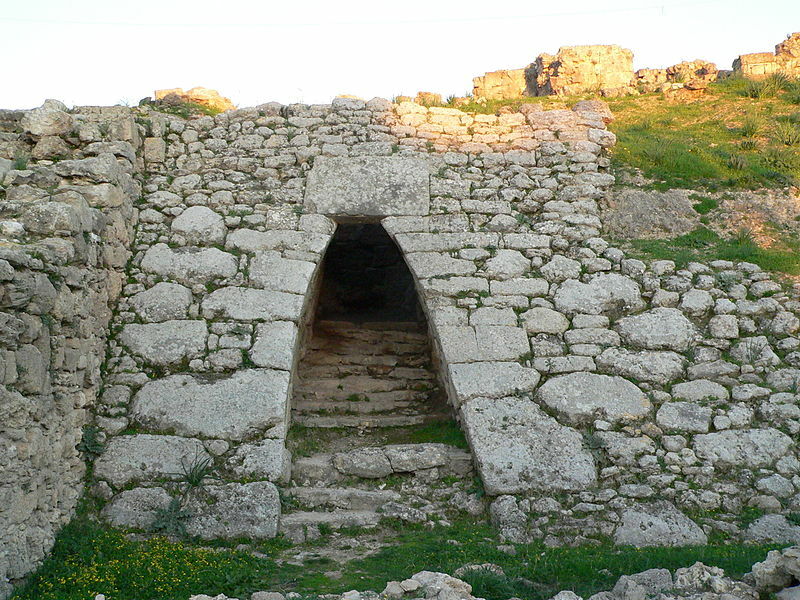 It has probably been done, but I would love to write a story about a future archaeologist discovering a 21st century site and drawing conclusions from it, like football and the internal combustion engine both being interpreted as connected with religious practices. Which, of course, they are in a way.